For March's newsletter, the topic is Spatial Reasoning. For any who need more information about what this means, I found this definition here: Spatial Reasoning is a category of reasoning skills that refers to the capacity to think about objects in three dimensions and to draw conclusions about those objects from limited information. Spatial reasoning (spatial visualization or visual-spatial ability) is a subgroup of reasoning skills that allow us to visualize spatial images in our heads and mentally manipulate them. This ability helps us to think about objects in three dimensions and to make inferences about those objects from the limited information available to us. What you can derive from these definitions is that Spatial reasoning does not refer to any one skill or ability. Spatial reasoning is utilized when thinking about how objects look when rotated, how objects look from different perspectives, how objects fit together, or how objects look from inside the shape. 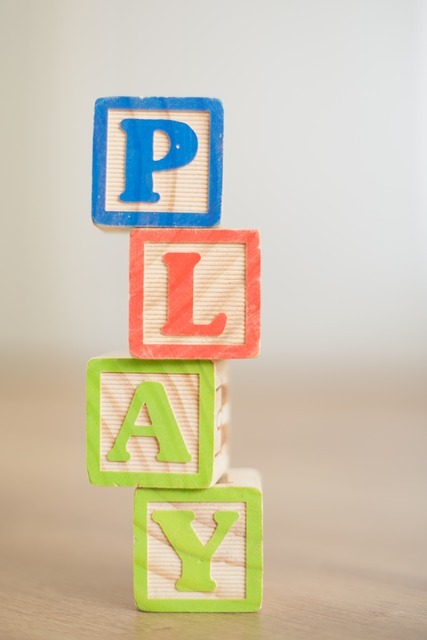 When you see children playing with blocks, making popsicle stick structures, playing Jenga, or engaging with various puzzles, they are using spatial reasoning. Have you ever tried to visualize how a piece of furniture will look in a particular spot in a room? You are using spatial reasoning. How many of these individual nets can be folded to form a cube? Make a prediction by imagining the resulting folded shapes. Cut out the shapes to determine the answer. Research has shown that spatial reasoning can be developed and strengthened. Just as with all other mathematical abilities, we are not born with a fixed amount of potential. There is also ample evidence of the close connection between spatial thinking and achievement in many areas of mathematics! There are many ways in which we can support elementary learners as they expand and hone their skills with using spatial reasoning. One proven approach is spatial talk. Incorporate the names of two- and three-dimensional shapes into conversations. Use a variety of words that describe the sizes of objects; compare and contrast shapes and sizes of shapes and objects. Use a variety of words that describe other attributes of two- and three-dimensional shapes and objects (flat, curvy, corner, straight). use positional words frequently such as above, below, behind, in front, between, forward, into, near and far. Always try to accompany the use of these important words with the use physical actions or examples. Ask children to show you what the words mean with physical examples and/or explanations. Another proven pathway to the development of spatial reasoning abilities is the use of games and engaging activities. Puzzles, blocks, drawing, origami, Legos, making maps, and many electronic games (such as Tetris or the app called Pictorial) can all be utilized to support the strengthening of these skills.